Looking for ghostly goodies to sink your teeth into? We’ve got some hair-raising kitchen creations for you. 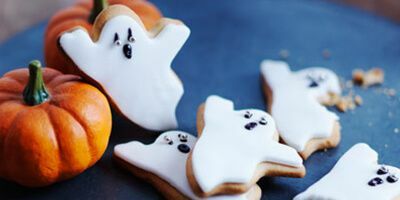 If you’re throwing a gruesome Halloween party or just having a quiet night in - try these beastly biscuits and terrorific treats for your enchanting evening. 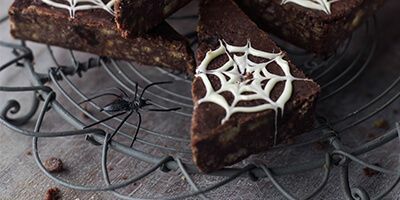 Dig out your scary costumes and tuck into these delicious bakes. Be fearless this Halloween and try something new! Ever eaten a creepy-crawly cookie? These spider treats look scary but taste delicious. 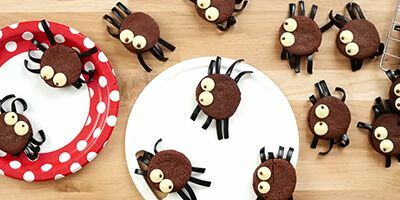 Bring your spiders to life with liquorice legs and chocolate button eyes! 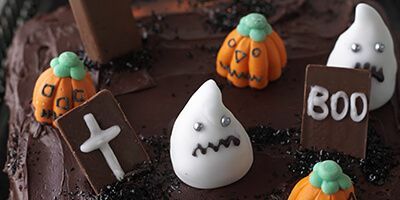 Try your hand at these quick but haunting cookies covered in ghost-white fondant and ready to spook your guests. Looking for a scary centrepiece? This chocolate frosted cake will do the trick! Get creative and add your own deadly decorations. Try it on Halloween! 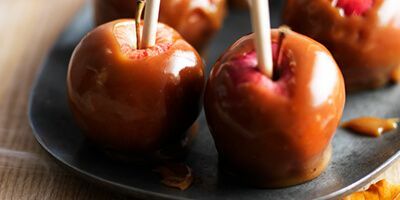 Crunchy caramel and fresh apples make these an all-time classic Halloween treat. Our sticky Toffee Apples are brilliant for handing out at a party! 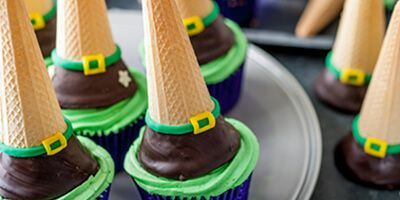 Our cackling carrot cupcakes are topped with green icing and wafer hats - a bewitching combo, we’re sure you’ll agree! Why not see for yourself how quick and easy they are to make? 20 minutes and two steps is all it takes to conjure up these crisp chocolate triangles. For spur of the moment parties, these webbed treats are eerily easy to make!